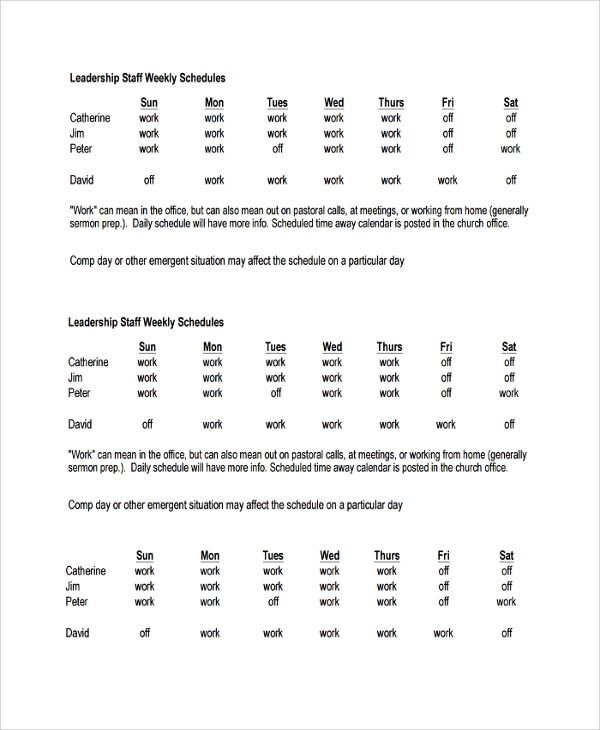 The staff schedule template is to make schedules for the staffs in an organization. A routine or schedule is needed in any organization to improve quality of work, maintain work order, and keep discipline. Workers will not know when to do what, or about special orders, if things are not scheduled or mentioned in writing in a routine. Moreover places where duties are performed on shifts, the importance of schedules are even more. 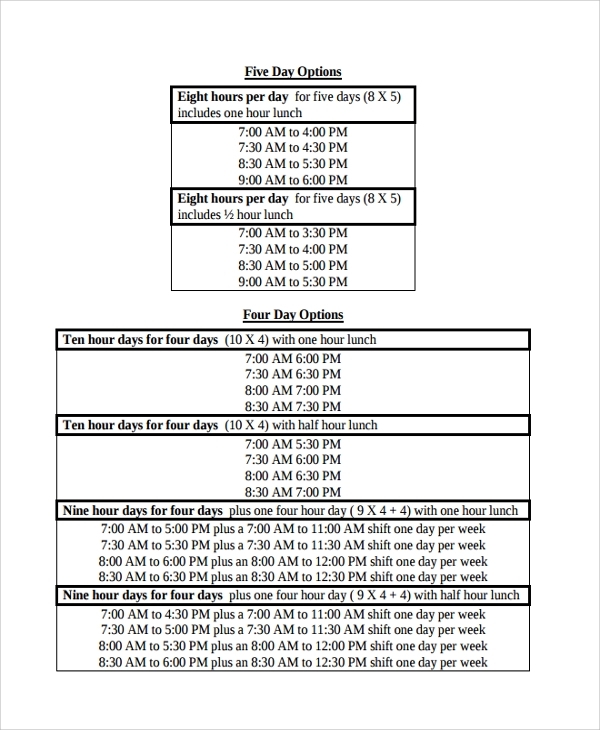 Hence work Time Schedule Templates styles are made available online. You prepare a monthly schedule in organizations, where there is the need for a monthly roster or routine. 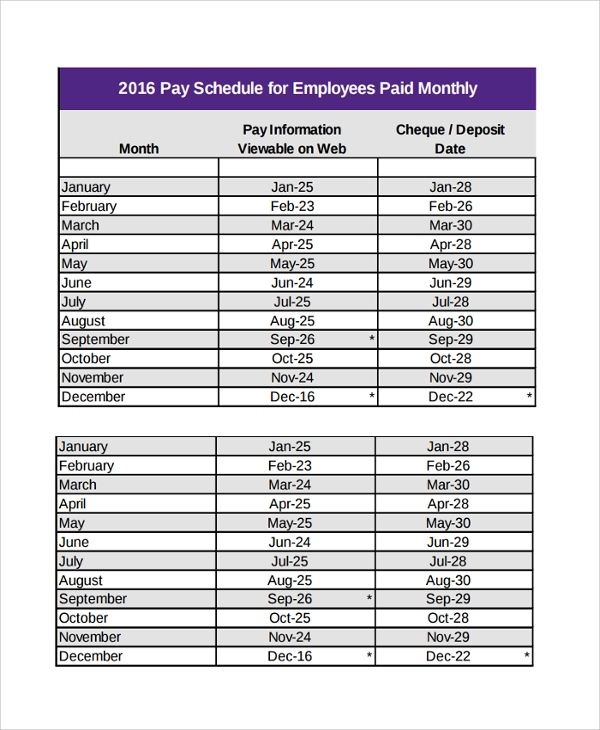 To keep things in order ahead, and tell each staff what will be their time of duty and the main and secondary job roles through a month, this is one of the best forms of organized schedules. The weekly staff schedule template is a routine planner for the week. This schedule maker helps you create a schedule for the week, and tell staffs their duties through the week. After a week it may change. This weekly planner can be used in such offices where the duties changes and the shifts changes every week. This schedule format governs what the staffs will be doing when in a daycare. A daycare is to provide care for the aged mainly and sometimes children. Hence the maintenance of time and routine is one primary necessity, which is made possible through the use of these templates. 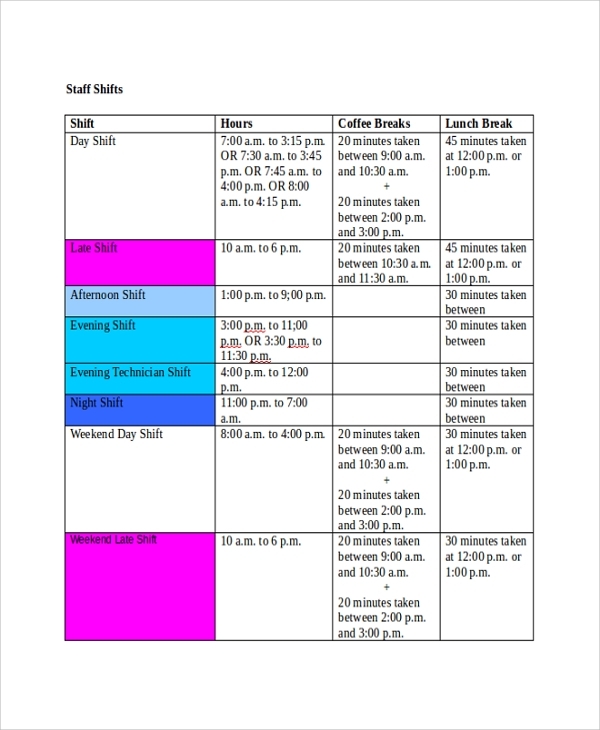 What is a Staff Schedule Template? 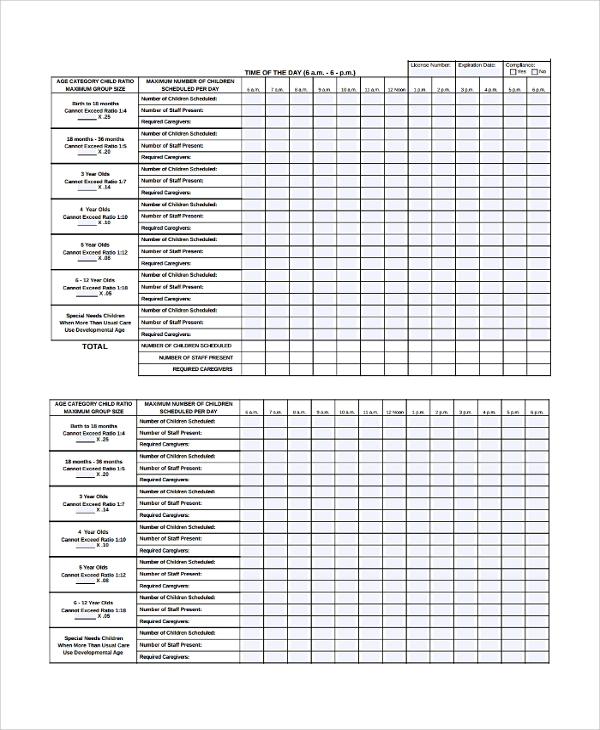 The staff schedule template is a smart way to organize things in offices and workplaces, construction sites etc. 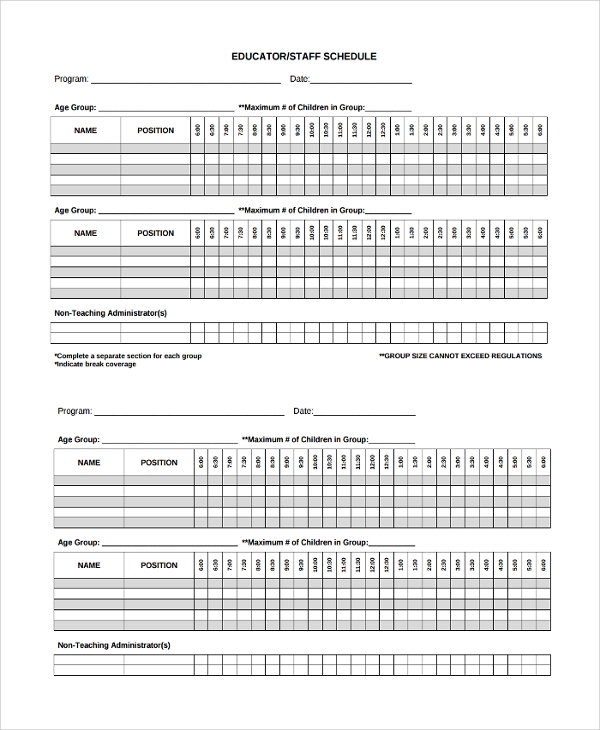 Anywhere, where there is the need to shift duties and change job roles after a periodic interval, such staff scheduling templates come into action. You may also make a schedule on your own. But templates are ready formats which helps directly write name, time and job role on the staff Hourly Schedule Templates, without working anywhere on the format and layout or the field etc. 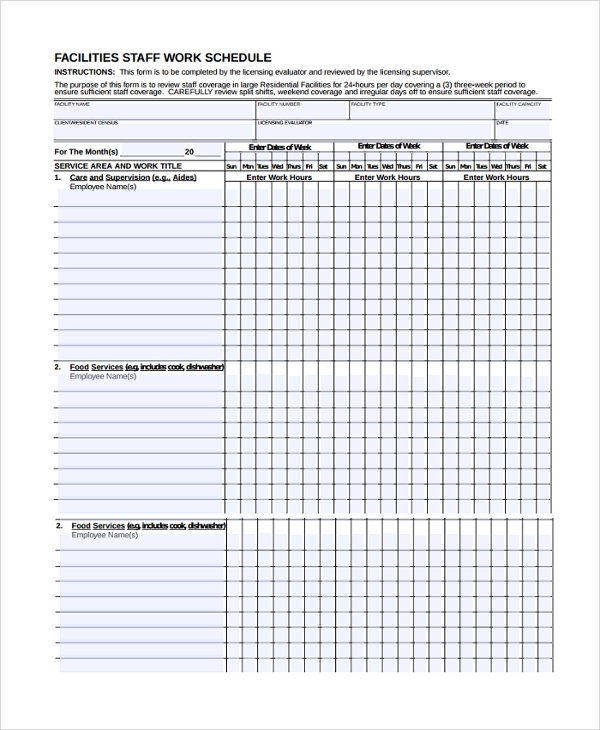 Templates are available both for online updating and maintenance and for printing. 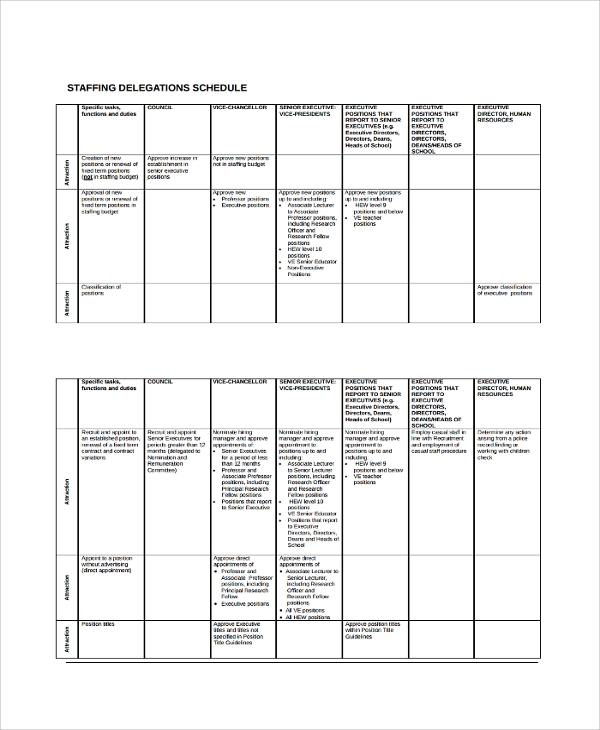 What is the Importance of a Staff Schedule Template? The staff schedule template is highly important in all such workplaces where the work depends on schedules and shifting duties. Offices where duties change, job roles are rotated, and the time of work is also versatile, or round the clock, and shifts need to be changed, these templates comes extremely useful. Using the templates is quite easy with PDF and Word file formats, in which the template layouts are made. These templates are available free. To use the templates you must first understand the office requirements. You may use a monthly weekly, or bi-weekly, or a Staff Daily Schedule. You have learnt that the templates for scheduling workers are so very handy, and now you always have the option to download it direct and use straightaway without referring to other sources for making you a schedule. That is how plans are made in modern day offices to make use of time effectively.